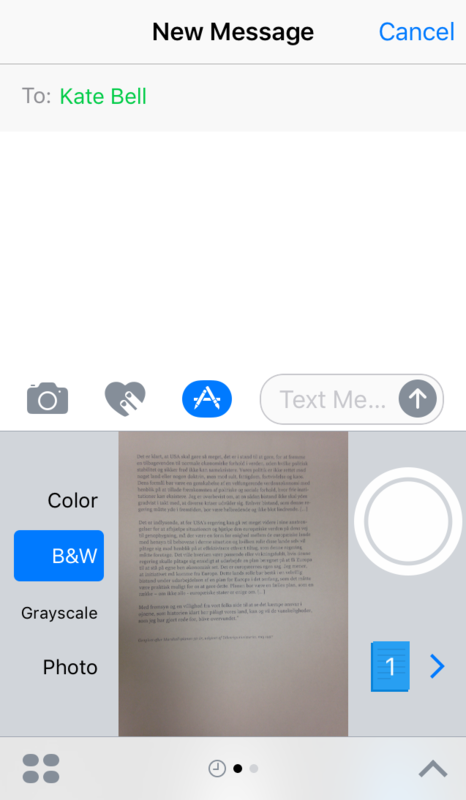 How to scan in iMessage? Scanner Pro is the best iPad and iPhone scanner app that turns your device into a portable scanner. Get it now, if haven't done so yet. Sometimes you want to make a scan and send it to someone quickly without leaving the conversation. Starting from iOS 10 release, Scanner Pro allows you to take and attach scans directly in iMessage, without opening the scanning app itself. 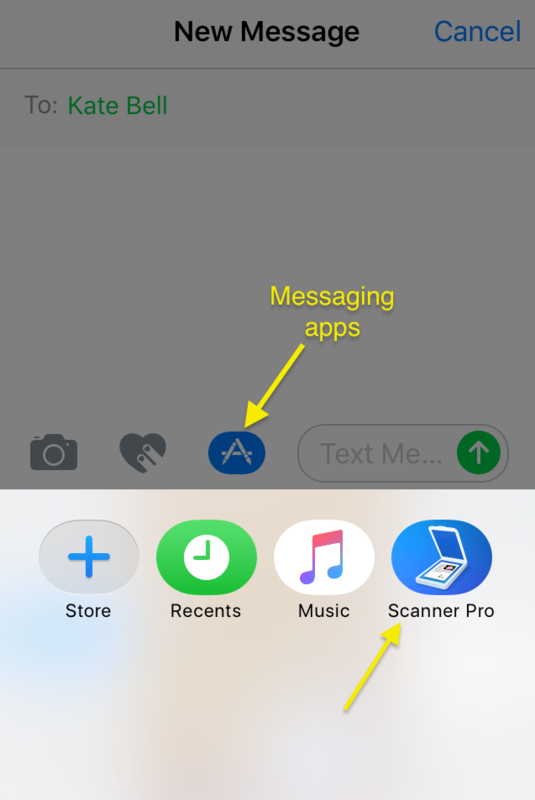 Tap iMessage panel at the bottom and select Scanner Pro. Start scanning the same way you got used to it in Scanner Pro. 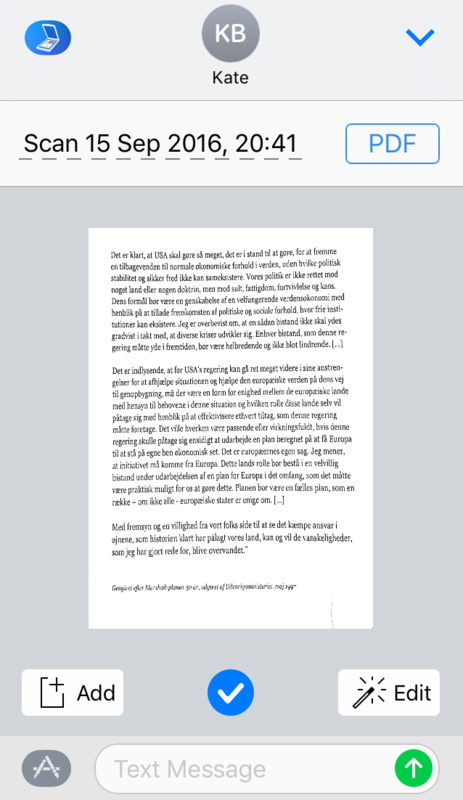 Edit the scan (change the title, pick the file format, edit the scan using all Scanner Pro features or add more pages). Once you are done, tap the blue checkmark, attach the scan to the message and send. Note: Naming scans in PDF doesn't work due to the current iOS 11 restrictions.